19 Simple Tips to Increase Productivity at the Office #Infographic ~ Visualistan '+g+"
We all have that time of the day where the only thing we can think about is taking a nap. We could be one cup of coffee away from a caffeine-induced heart attack, and yet we still struggle to be productive. Sometimes, all it takes is creating a schedule, rearranging the layout of the office, or simply prioritizing one project at a time. 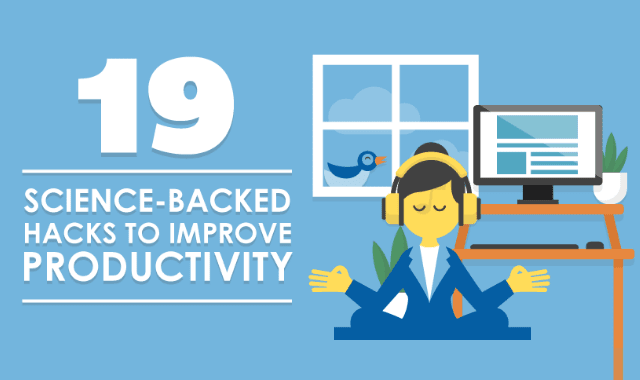 We created this infographic to show you 19 productivity tips to improve productivity that can be easily implemented.